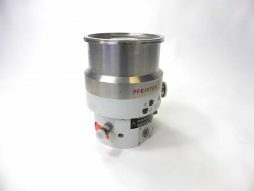 Pfeiffer Vacuum Turbopump TMH-1001-P with permanent magnetic bearing at high vacuum side and oil lubricated ceramic bearing at the backing side. Equipped with TC-750 controller. Refurbished Varian Turbo V-60 turbomolecular pump with DN63CF high vacuum flange from stock. 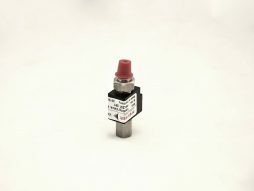 Model code: 969-9002. 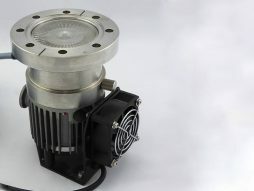 The Varian Turbo V60 turbo molecular pump has a pumping speed of 55 l per sec. Its has a DN63CF high vacuum flange with DN16KF foreline flange. The Varian Turbovac V60 is suitable for many general-purpose and corrosive high vacuum applications. The pump have been refurbished and are fully tested.